Ruffwear's Gnawt-a-Stick™ is inspired by Oregon coastal driftwood, a favorite token among beach-combing dogs in the Pacific Northwest. 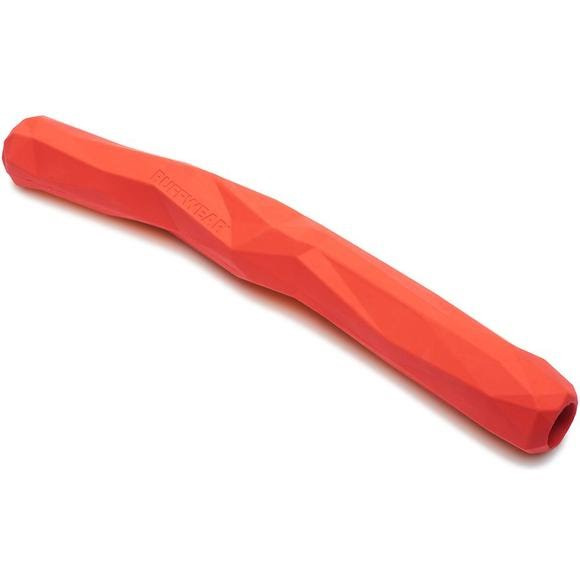 This natural rubber toy is durable and chew-resistant, with a faceted, gum-massaging surface. It bounces erratically for an engaging game of fetch, and it floats upright to remain visible and easy to retrieve. Ruffwear&apos;s Gnawt-a-Stick™ is inspired by Oregon coastal driftwood, a favorite token among beach-combing dogs in the Pacific Northwest. This natural rubber toy is durable and chew-resistant, with a faceted, gum-massaging surface. It bounces erratically for an engaging game of fetch, and it floats upright to remain visible and easy to retrieve. Part of the Pacific Gnaw-west toy collection inspired by Ruffwear&apos;s home of Bend, Oregon, and its natural surroundings.